Sparkling Blood Orange Beverage with Orange juice and Blood Orange juice from concentrate, with sugar and sweeteners. Enjoy the citrusy taste of the Italian sunshine. 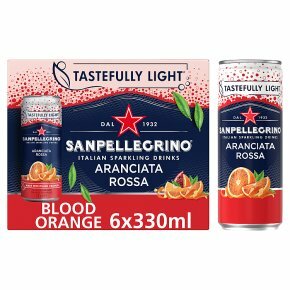 SANPELLEGRINO Aranciata Rossa (Blood Orange) is elegantly sweet, soft and well-balanced. It's made with Italian sanguinello orange juice, giving the beverage an aromatic and intense citrus flavor.